Subway Cave in northern California displays classic lava tube shapes. Note contraction cracks in the walls. Welcome to the lava tube portion of the Virtual Cave. Lava tube caves are found throughout the world in places where fluid lava has flown over the surface. 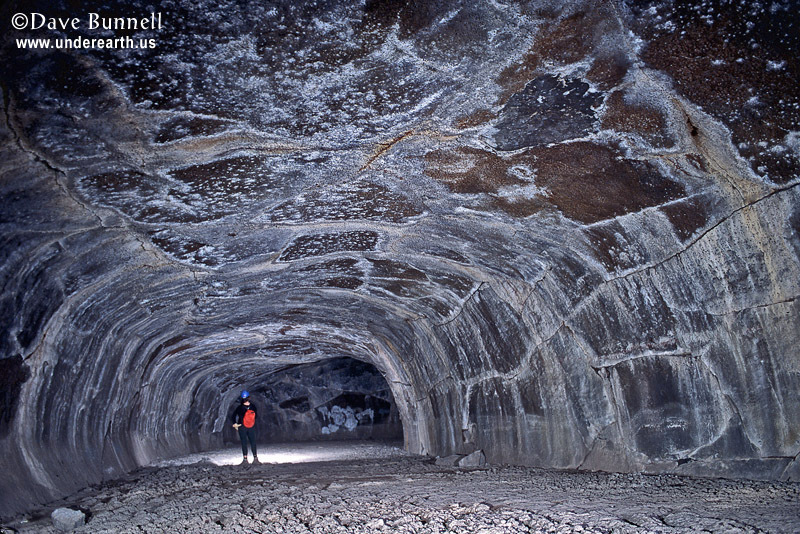 The longest and most vertically extensive lava tubes known are on the Big Island of Hawai`i. Our idealized lava tube cross-section is based on the tubes there, and most of the photos are from there. Lava tubes are found in the western U.S.A. (Washington, California, Oregon, Nevada, Idaho, New Mexico, Utah, and Arizona), the Canary Islands, Galapagos Islands, Italy, Japan, Korea, Kenya, Mexico, and many other volcanic regions. Most tubes form when fluid lava flows down the sides of volcanoes, the upper layer begins to cool, and the lava beneath continues to flow in tubular conduits beneath the surface. Due to the insulating effects of the hardened lava above, molten lava is able to travel a considerable distance underground with very little cooling. In Hawaii, lava tubes have carried fluid lavas 50 or more miles from their source! 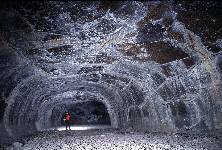 Tubes may also form when lava follows trenches or gulleys on the surface, which then roof over as lava accumulates along the top edges. Lava tubes contain many features similar to those in limestone caves, such as stalactites and stalagmites, helictites, and a sort of flowstone. 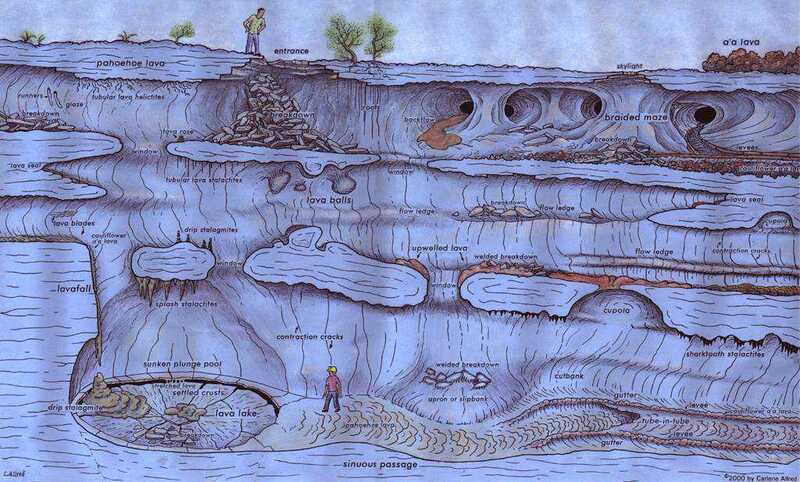 Most of the features in the diagram were made when the cave was active and during the early cooling stage. Secondary minerals may be deposited in the tubes later, such as gypsum or calcite crystals, but these tend to be on a much smaller scale than you can find in limestone caves. To take a tour of the wondrous world of lava tubes, select a feature in context on our very cool Virtual Lava Tube Map (drawn by master lava tube cartographer Carlene Allred) or choose from the list above it. Not all of the items in the text list are represented on the image map. Those are shown in all capital letters, so be sure to check these newer pages out. Check out the revised second edition of my book on lava tubes, based on the Virtual Lava Tube, called CAVES OF FIRE: INSIDE AMERICA'S LAVA TUBES. 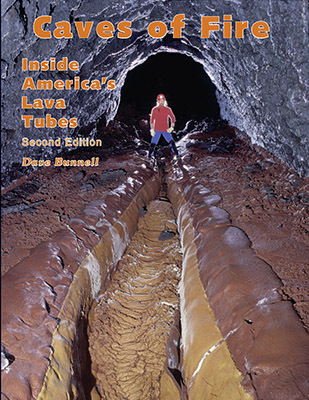 It is both a guide to lava tube features (with many more photos than shown here on the website) and a guide to the many lava tubes open to the public to visit in national, state, and county parks and forests. It has 144 full color pages with over 400 images. It now costs only 15 dollars!